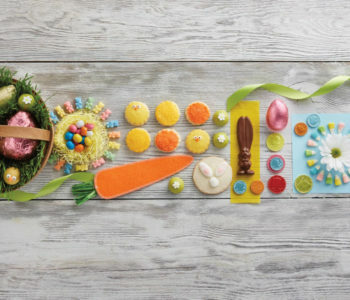 Entertaining can feel overwhelming at time, so Lauren from Climbing Grier Mountain is sharing a fool-proof plan to make it feel seamless… and delicious. 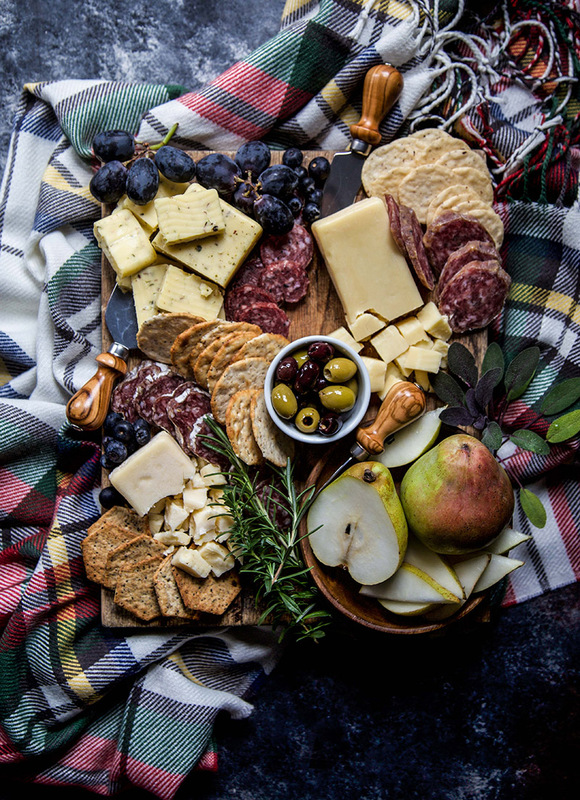 With a deceivingly-simple charcuterie board and perfect wine pairings, food and conversation will flow at all of your holiday parties. Just add a few ingredients to make your next Friendsgiving party a hit! 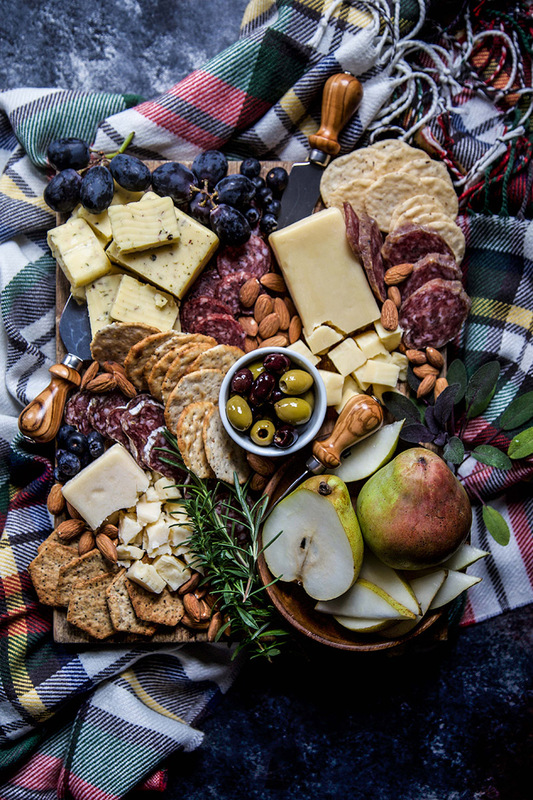 Snacks are always the key to any great party, and when it comes to Friendsgiving food ideas, charcuterie boards are always the perfect option. 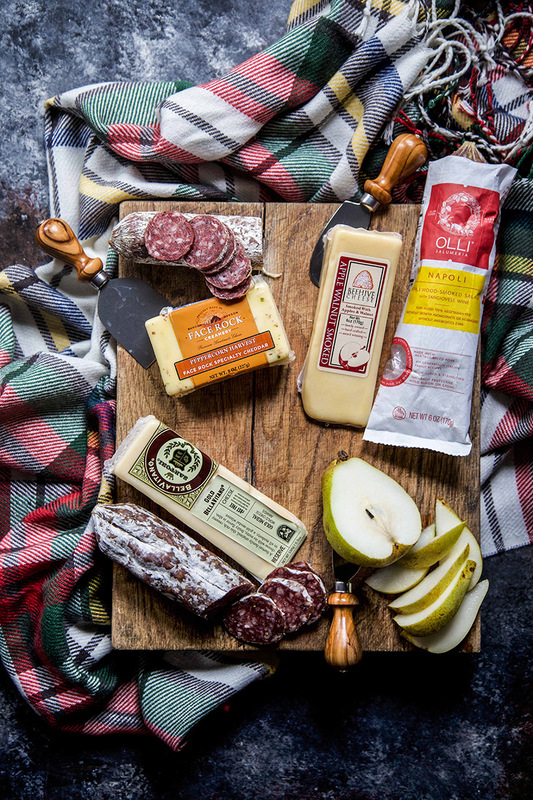 To keep things simple, I like to use Harry & David’s Gourmet Charcuterie Assortment and their famous Royal Riviera Pears to really make the board stand out. 1) Set out the ingredients you will use on the actual board. This will give you an idea of how much space you will need. 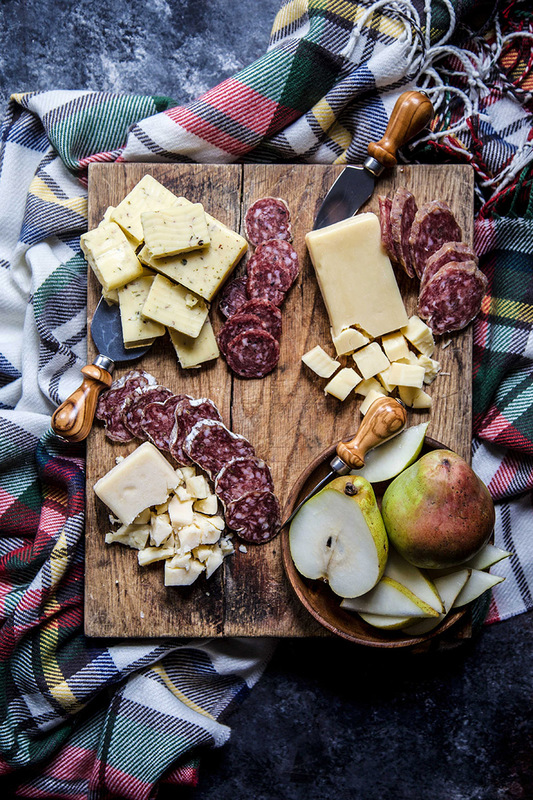 2) Prepare the cheese, cured meats and pears. Try slicing the meats and cheeses in different sizes or directions to give your board more texture. 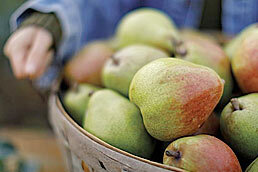 For the pears, provide a hearty amount of slices and leave a pear whole or half-sliced for height and beauty. 3) Next, add in the crackers. Use a different assortment like rectangular and round crackers. 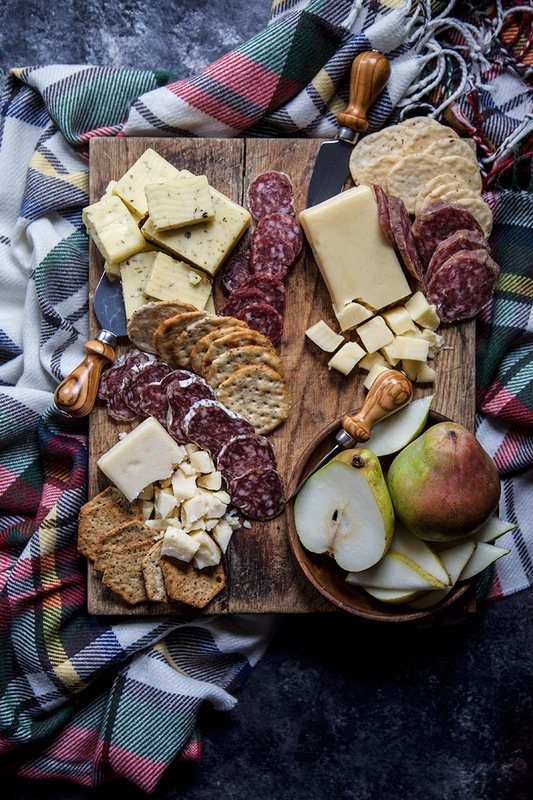 Casually arrange the crackers on the board next to the cured meat for easy assembling. 4) Add a pop of color! We eat with your eyes, so this is where you fill in colorful ingredients like grapes, olives, herbs. 5) Fill in blank areas with either dried fruit or nuts. Or both! And that’s it! 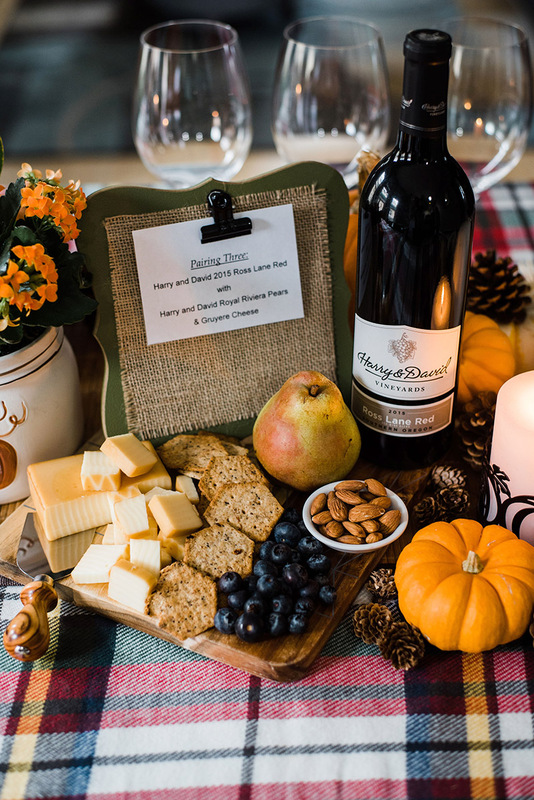 A simple, beautiful and easy to prepare Friendsgiving party. This board will be your holiday go-to and it makes for a great holiday recipe. 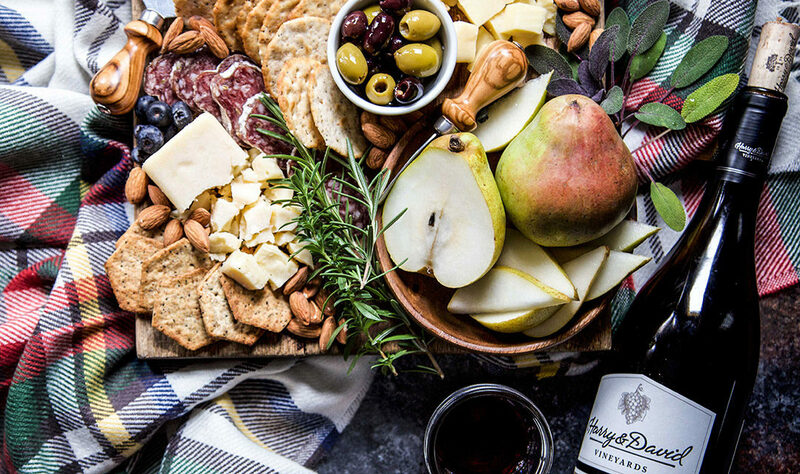 Once you and your friends have enjoyed some snacks, gather around the table for some classic wine pairings. 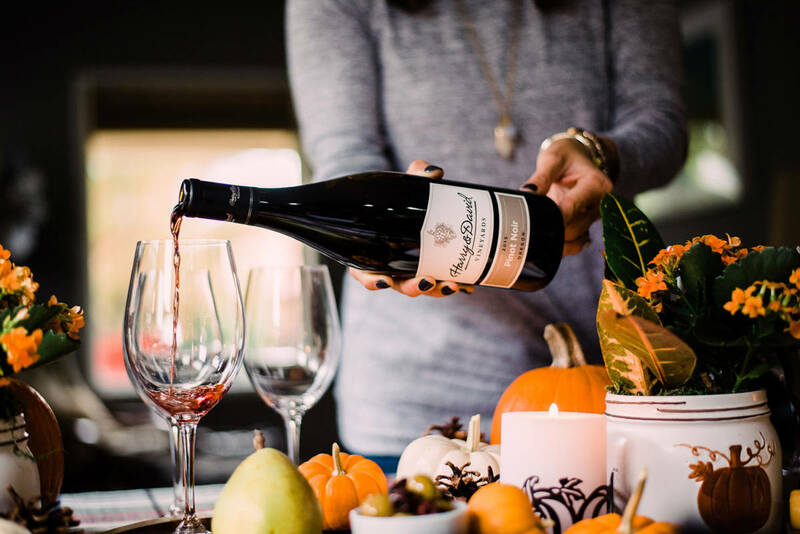 A wine pairing party is a great option for entertaining, because it allows for conversation to flow naturally as you move through the different tastings. 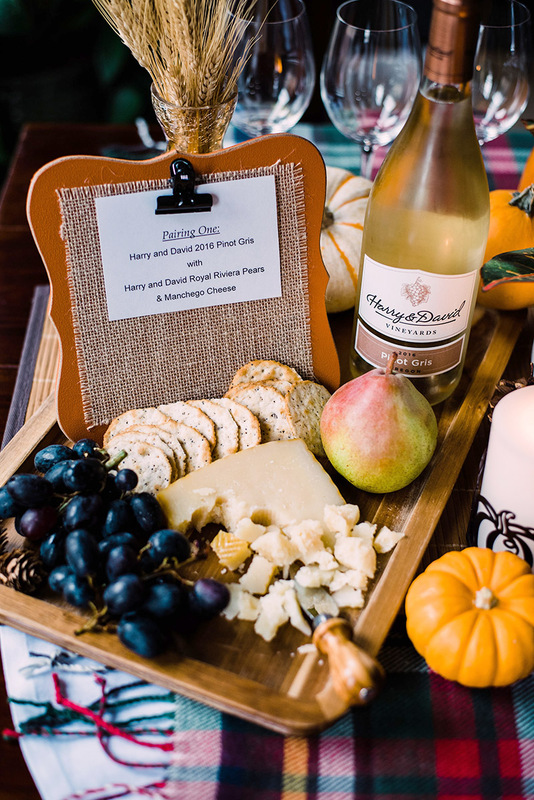 These three Harry & David wines pair well with different cheeses and a juicy slice of our Royal Riviera Pears. 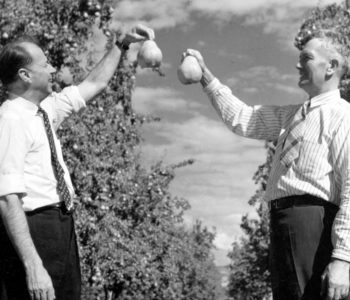 Happy sipping! Warm your palate with a delightful, refreshing first pairing. The aromatic Pinot Gris pairs well with a juicy slice of Royal Riviera Pear and the sharpness of Manchego cheese. Next, take your palate on a satisfying journey with a slice of Royal Riviera Pear accompanied by a wedge of blue cheese. Rinse it down with an earthy, red fruit forward Pinot Noir. End your pairing with a glass of Ross Land Red. A mixture of varietals from Merlot, Cabernet Sauvignon, Cabernet Franc and Malbec. Dark in hue, but light in flavor, this wine pairs well with the sweetness of our Royal Riviera Pear and nutty undertones of the Gruyère. 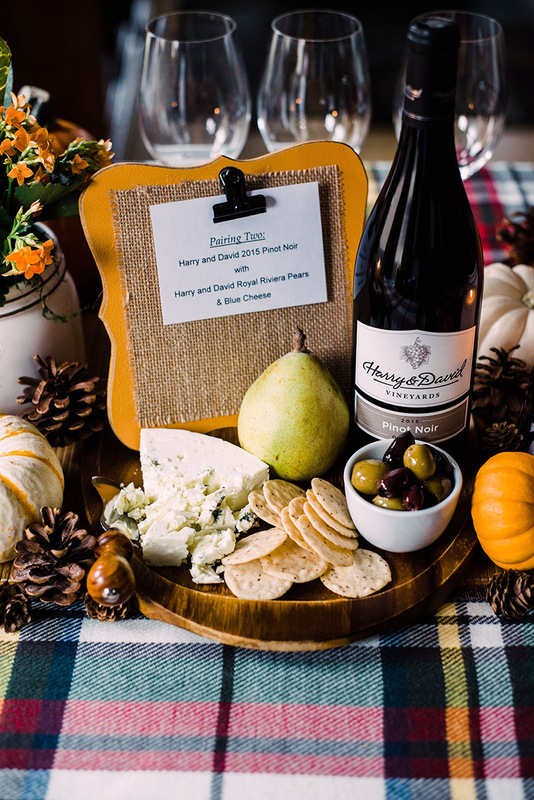 From Friendsgiving parties to Thanksgiving meals, keep your holiday entertaining ideas simple. Remember, the most important part of any party is good company and good food. Cheers! Check out more tasty wine pairings and appetizers! Homemade Fruit Leather Recipe – Two Ways!